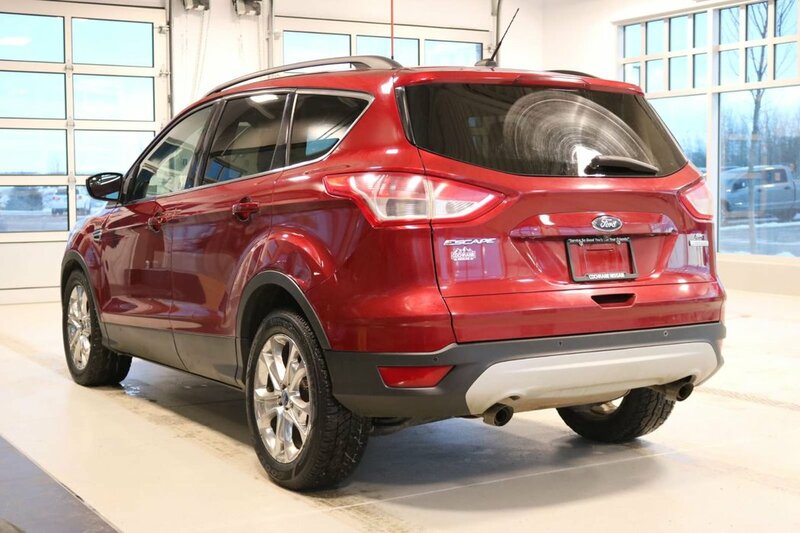 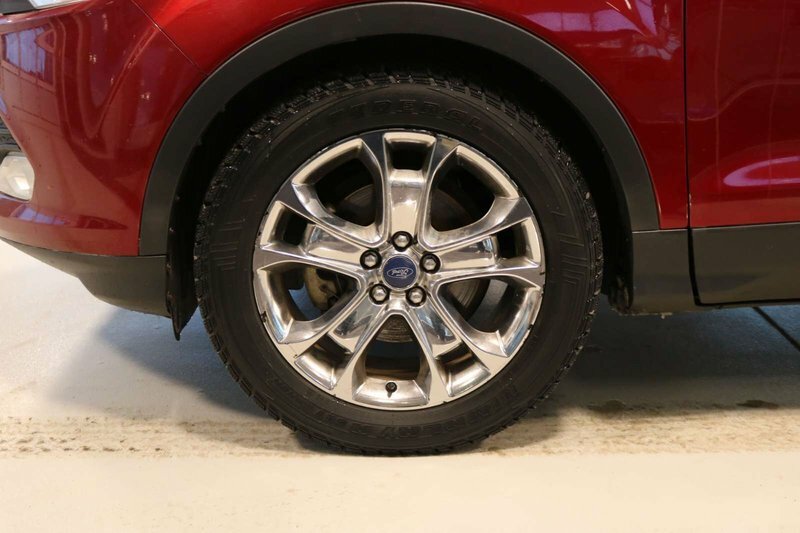 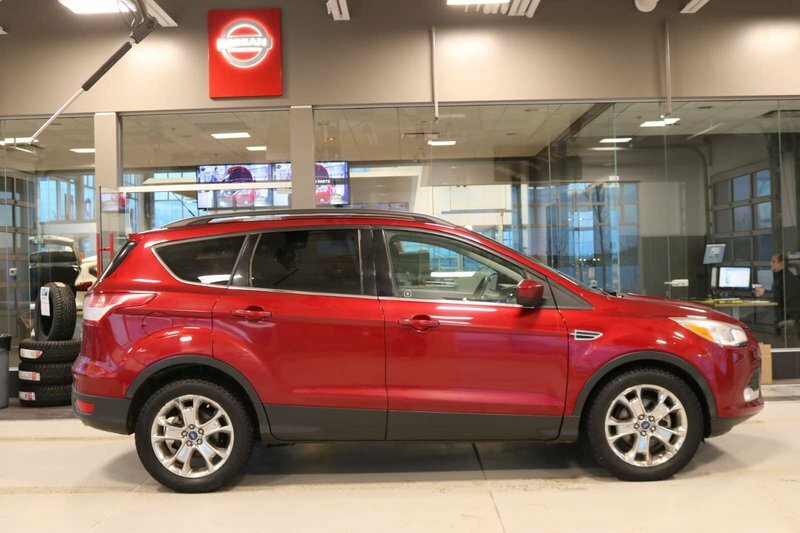 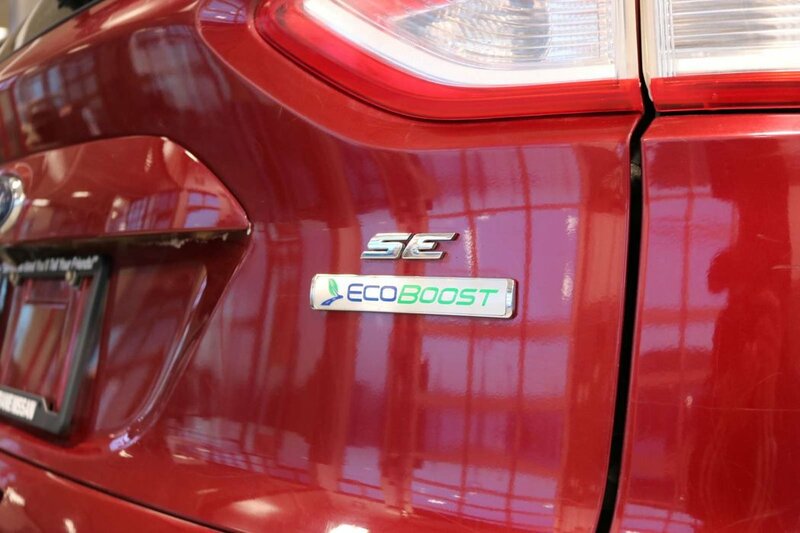 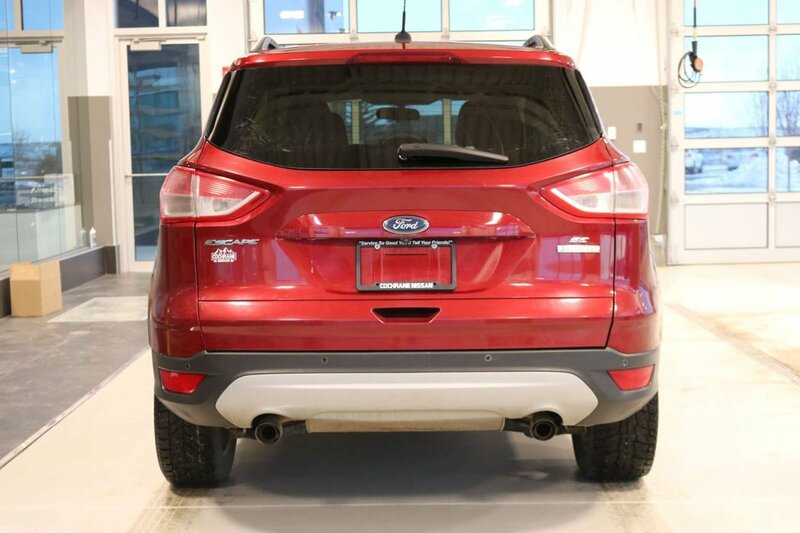 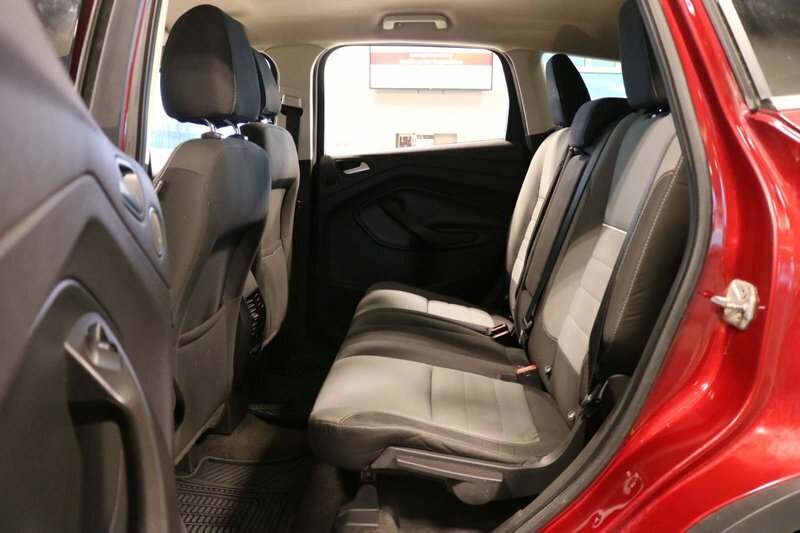 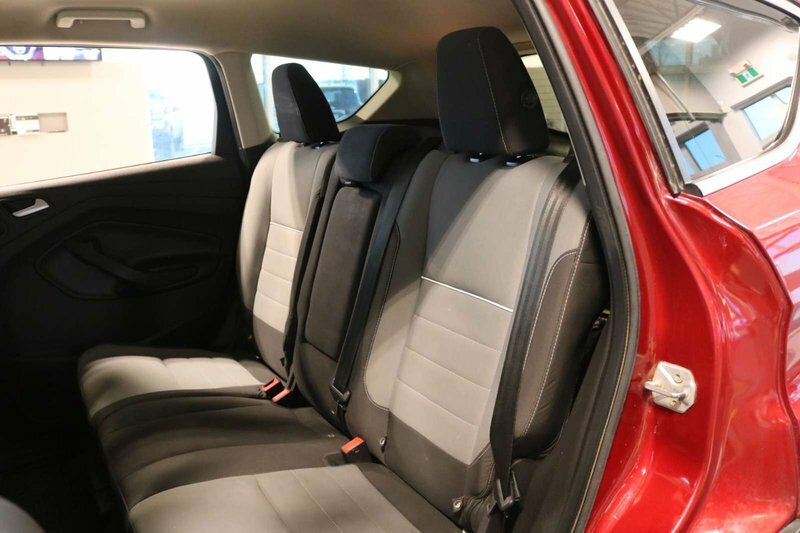 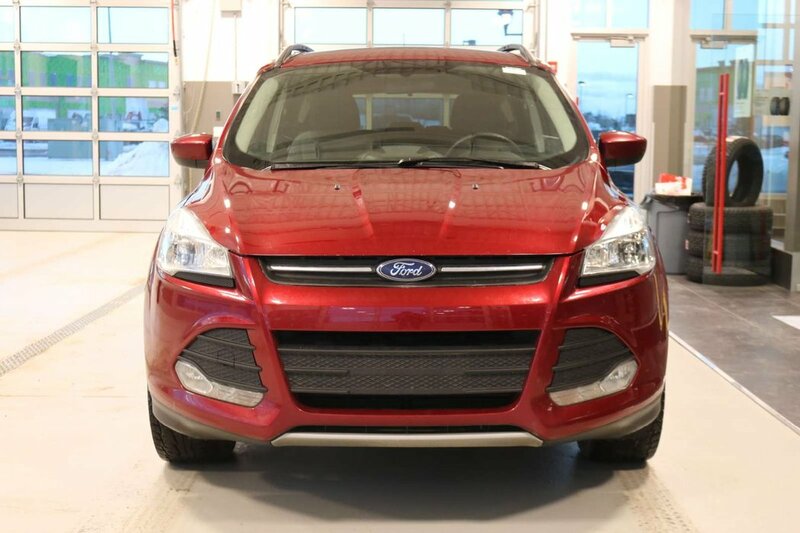 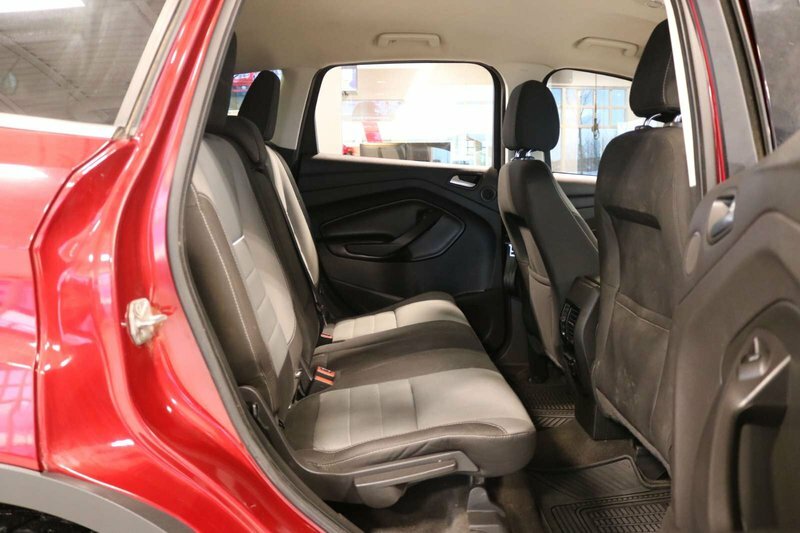 Meet our impressive 2014 Ford Escape SE 4x4! 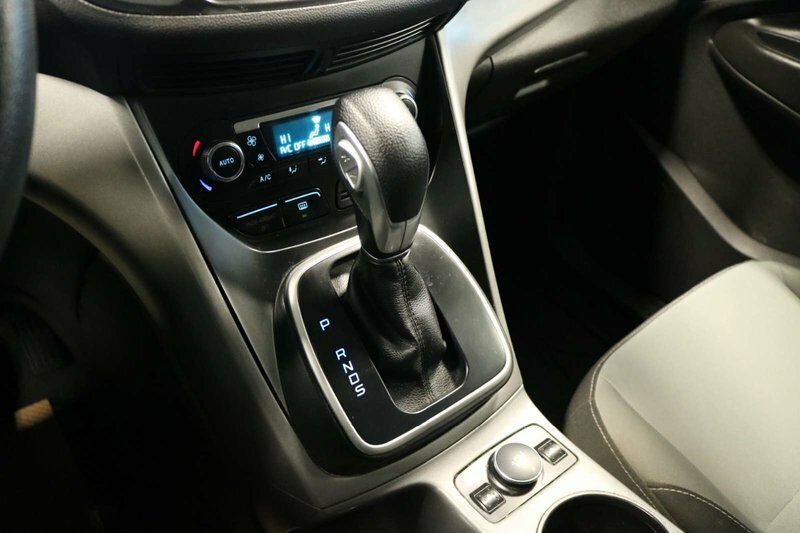 Powered by a 2.0 Litre EcoBoost 4 Cylinder that offers 240hp while combined with a 6 Speed SelectShift Automatic transmission for fantastic passing. 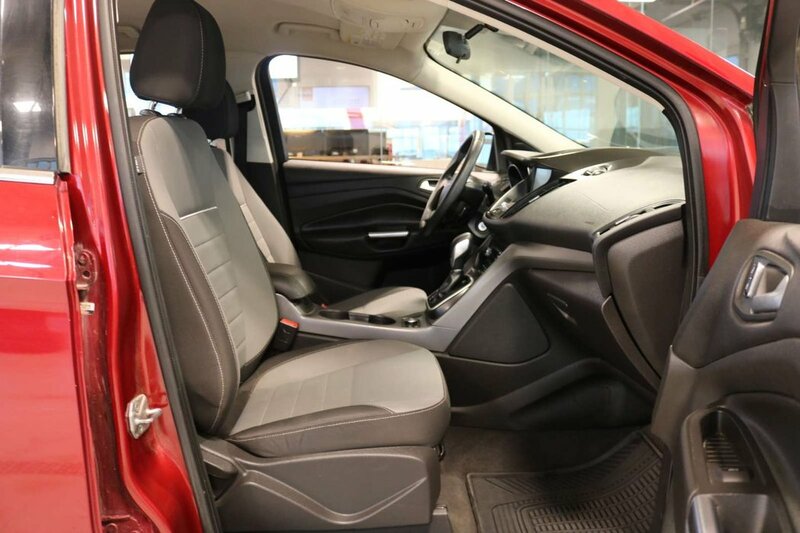 With this Four Wheel Drive, expect an impressive near 7.8L/100km plus torque vectoring control gives you remarkable response and agility in the turns, and it handles like a dream. 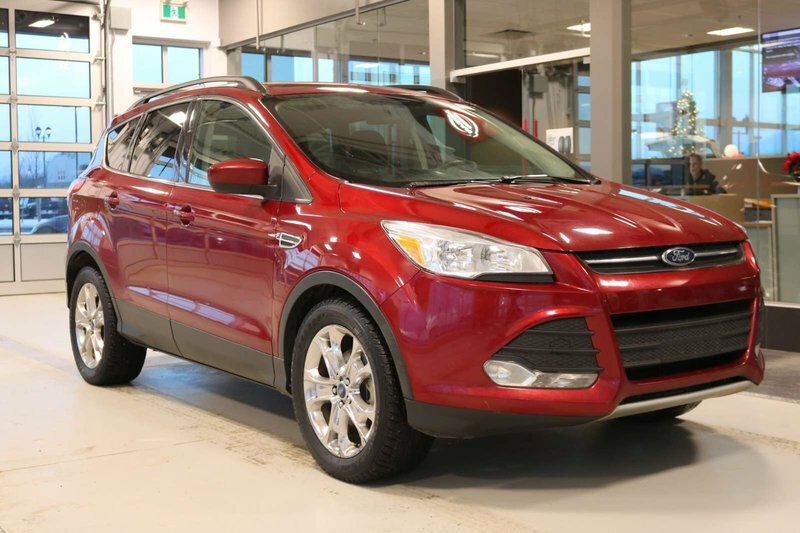 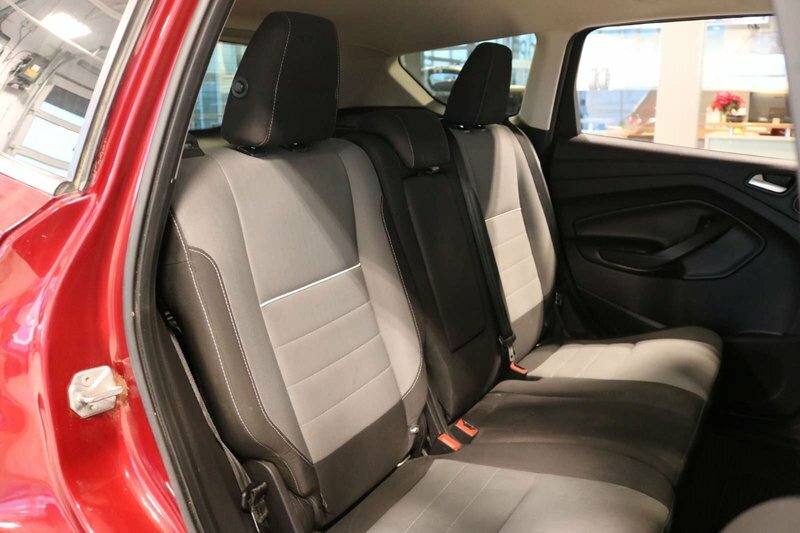 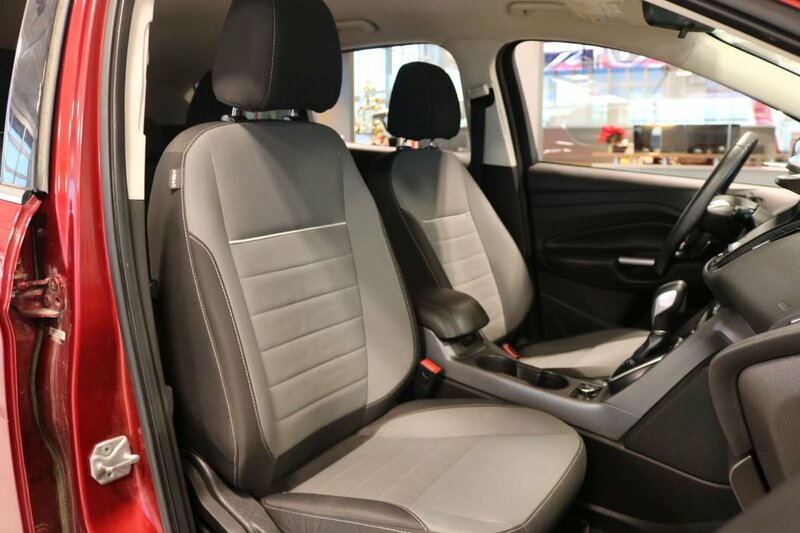 Imagine yourself behind the wheel of this fresh-faced Escape as it been aerodynamically designed to secure high mileage and offers the WOW factor. 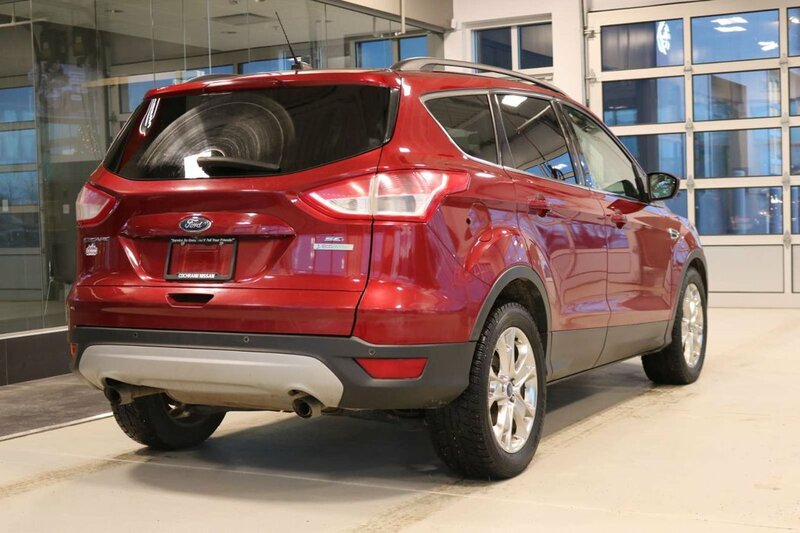 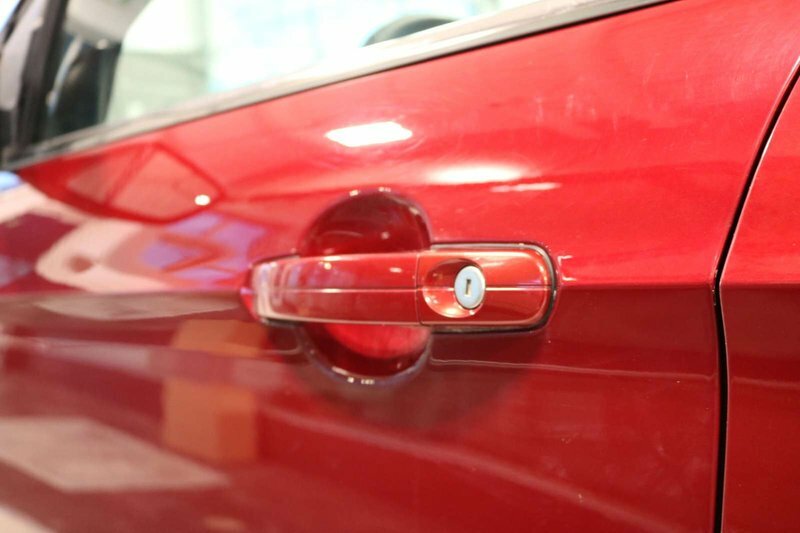 Chrome exhausts and accents, rear spoiler and fog lamps add to the sporty feel. 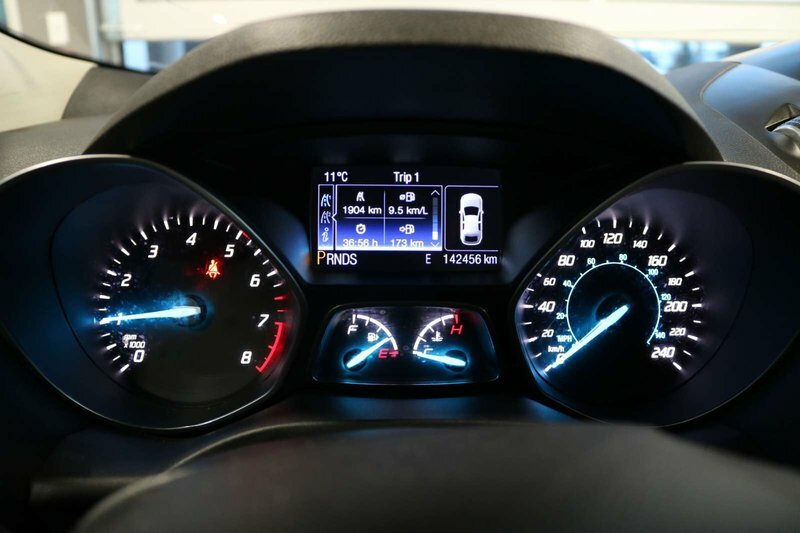 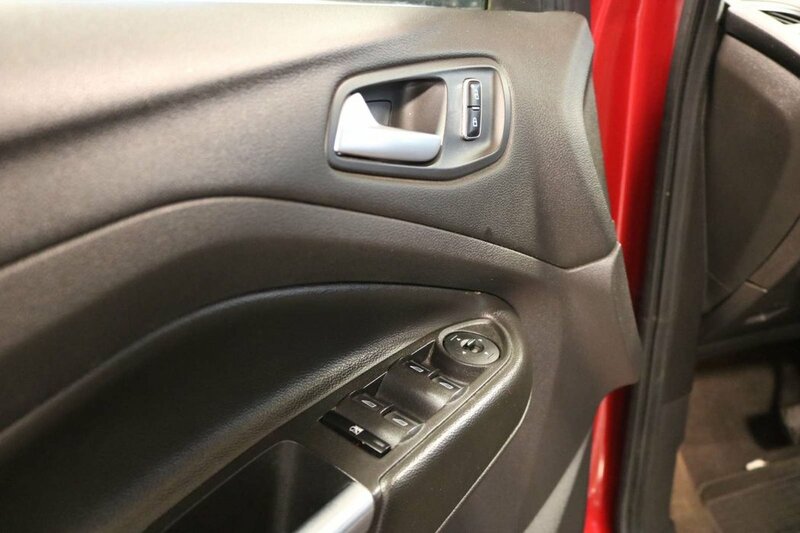 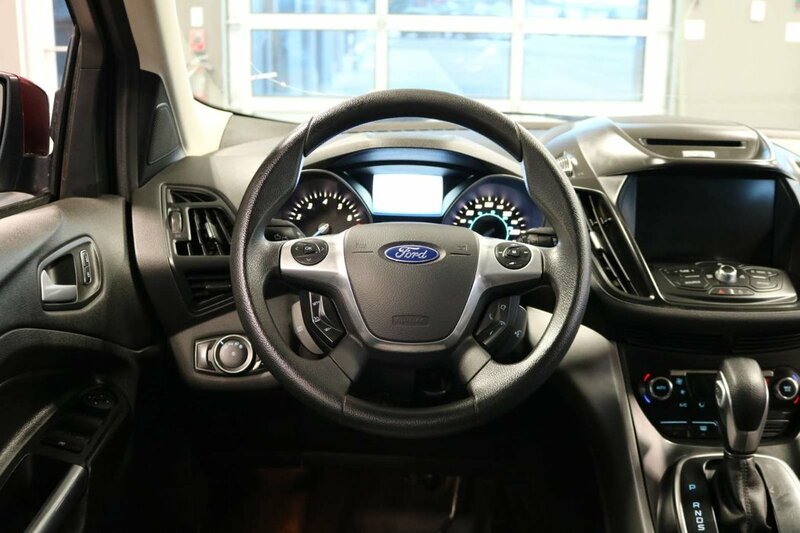 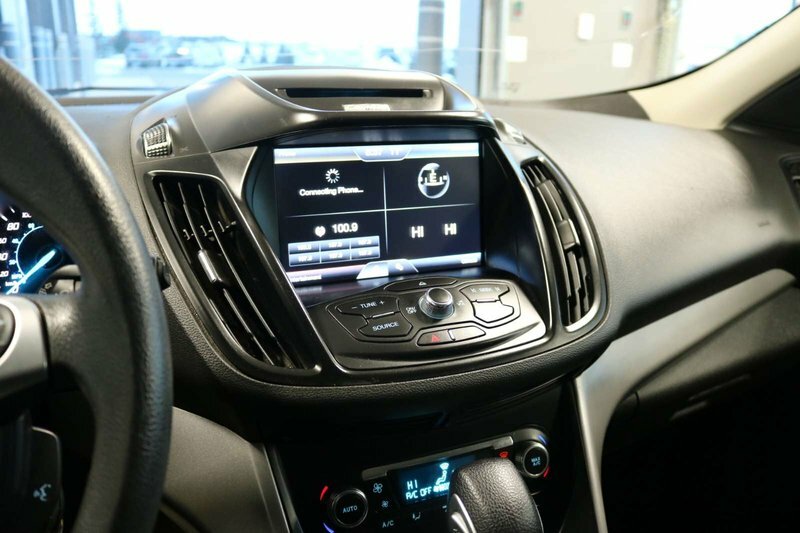 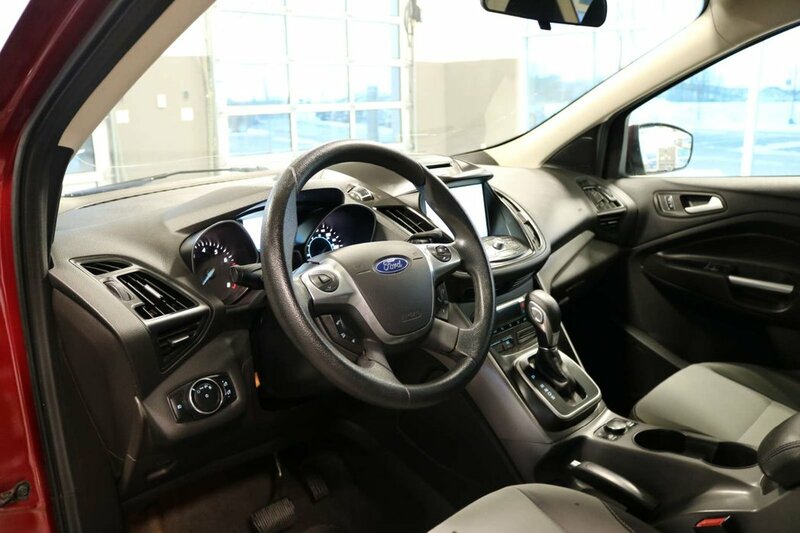 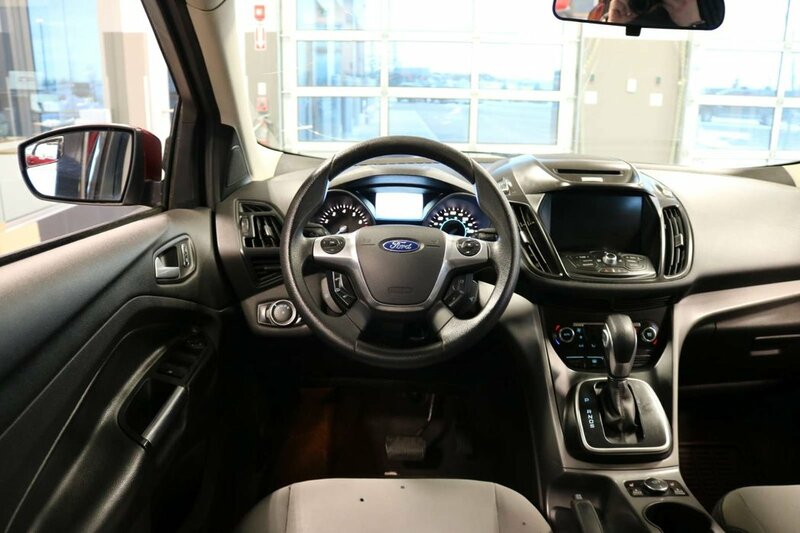 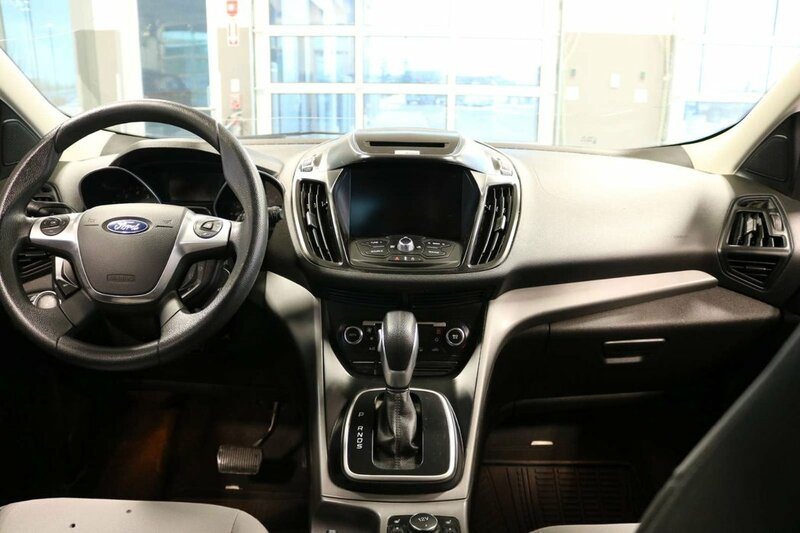 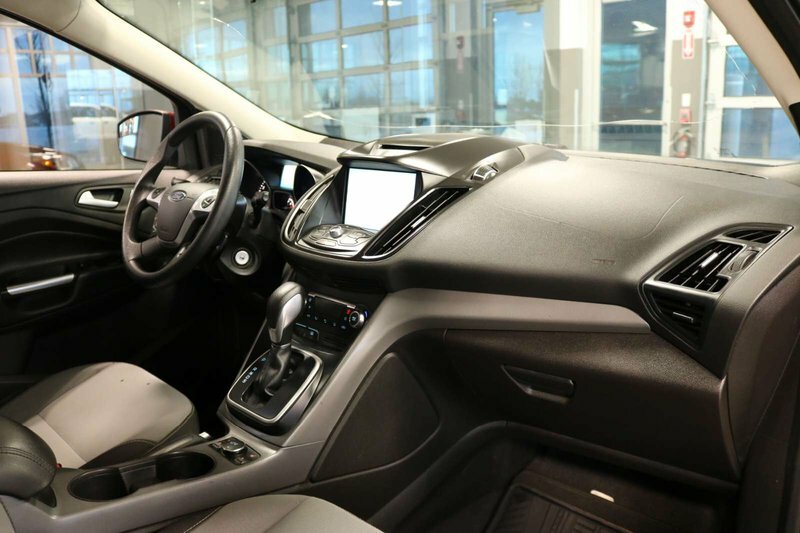 Inside our SE we share an impressive voice-activated Ford Sync w/Sirius XM, ice blue lighting, a high-tech instrument panel and luxurious features throughout that make you feel like a rock-star. 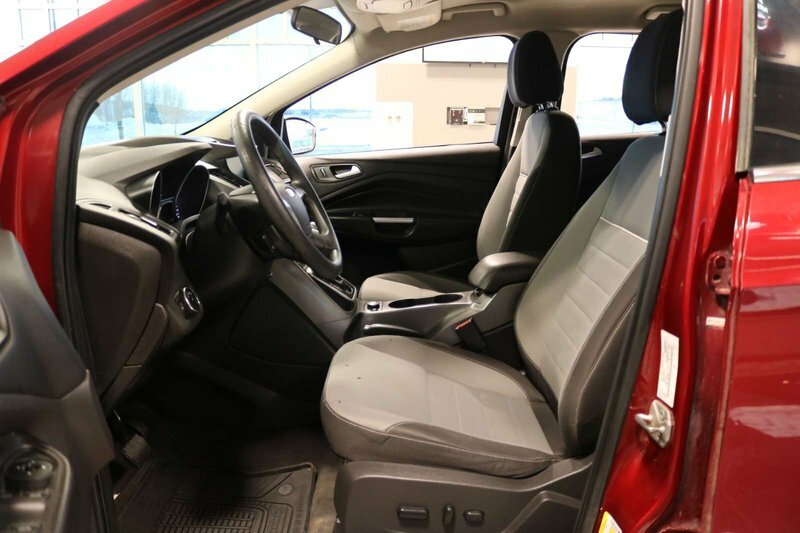 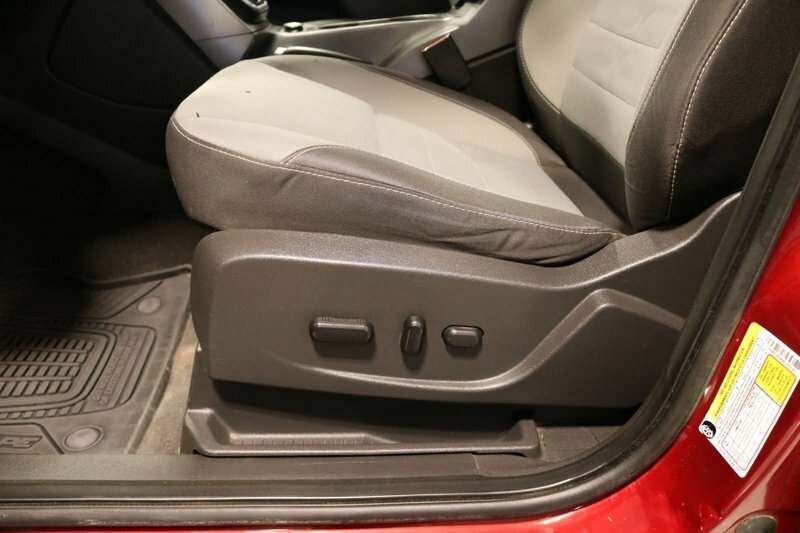 Everyone has plenty of room to relax and ride in comfort while plugging in their devices to their power points. 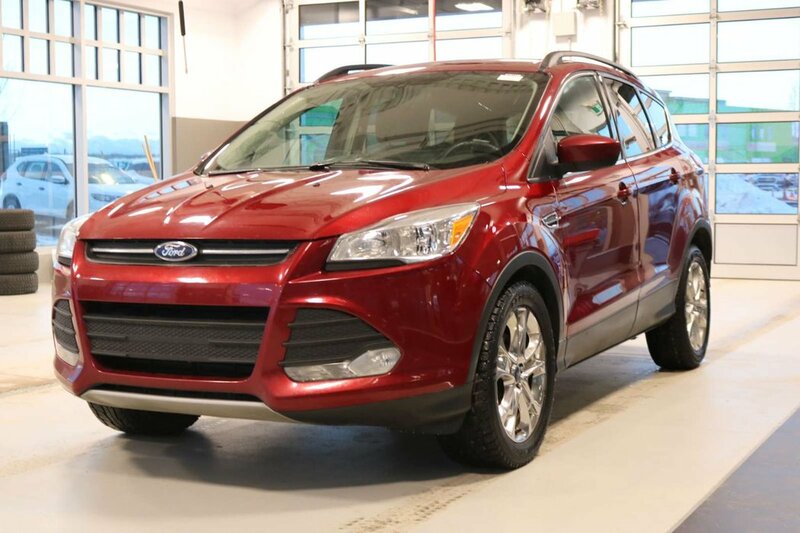 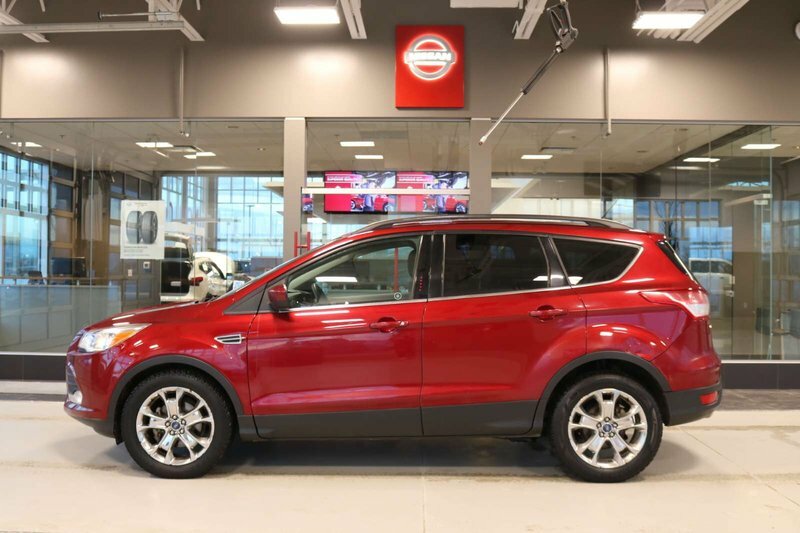 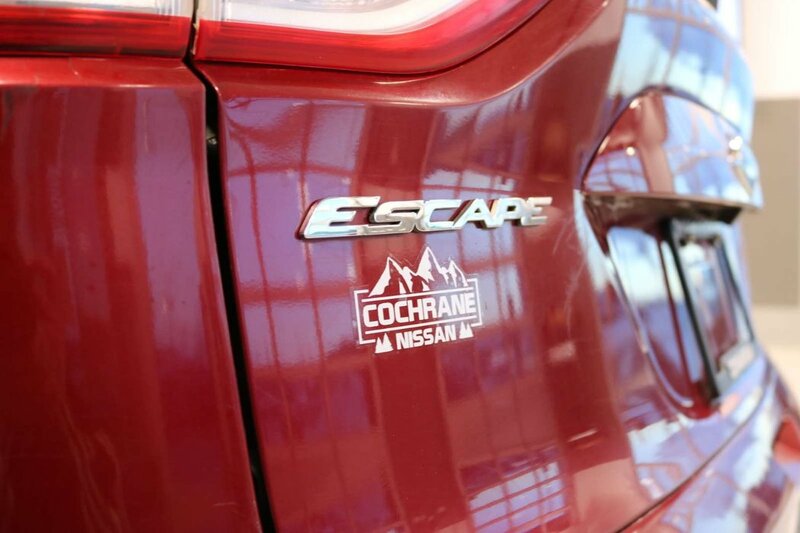 Ride in style and class with your Escape!